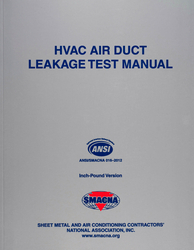 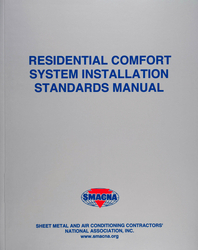 SMACNA is the Sheet Metal and Air Conditioning Contractors National Association. 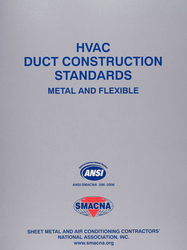 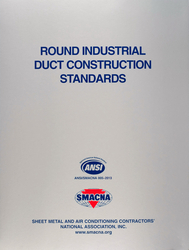 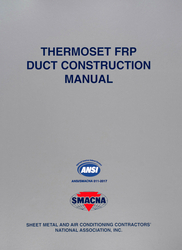 As an ANSI-accredited standards developing organization, SMACNA standards and manuals address all facets of the sheet metal industry, from duct construction and installation to air pollution control, energy recovery and roofing. 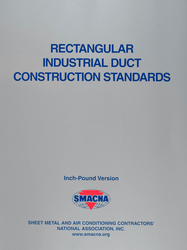 The voluntary technical standards and manuals developed by SMACNA contractors have found worldwide acceptance by the construction community, as well as foreign government agencies.